Product #16785 | SKU SADH88B | 0.0 (no ratings yet) Thanks for your rating! The Sony Horizontal Clip for ECM-88 Microphone SAD-H88B (10 Pack) is a clip designed specifically for use with ECM-88 Electret Condenser Lavalier Microphones. Use this practical microphone clip to perfectly position your microphone for optimum recording results. 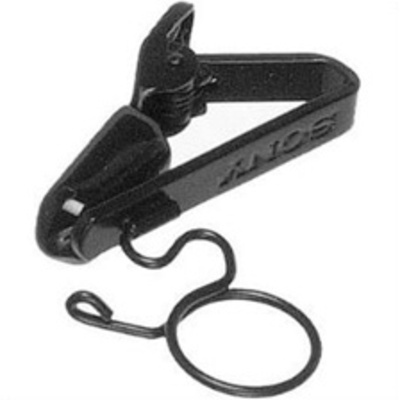 This unit is a bulk purchase and includes (10) clips.